Courtesy of Western Property Advisors. Head-turning Style, Extraordinary Location in the ”magic” 85254 zip code! This immaculate, professionally-designed stunning home invites comfort, and exudes elegance. With 4 bedrooms, 2 baths, generous living space and stylish finishes, you’ll enjoy a perfect setting for relaxing and entertaining! Upon entering this home, right away you are greeted with the gorgeous saltillo tile, incredible stone wood burning fireplace and the rich paint palettes! The kitchen features dual sinks, warm wood cabinetry, black appliances and an eat in kitchen area. The bedrooms offer plenty of room for sleep, study and storage! The covered back patio overlooks the private pristine pool and custom built in BBQ and desert landscaping-an ideal setting for those hot summer days! Sellers say make an offer! Approximate size: 10698.00 sq. ft. Please, send me more information on this property: MLS# 5879917 – $479,000 – 7020 E Friess Drive, Scottsdale, AZ 85254. 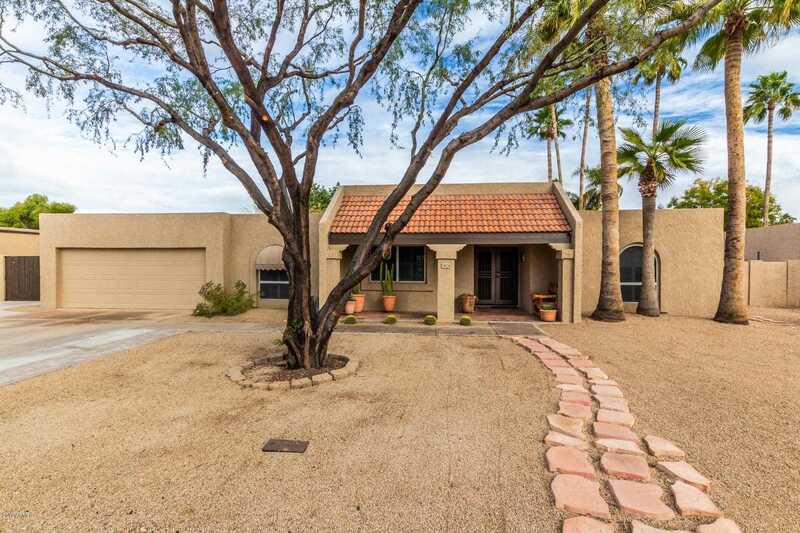 I would like to schedule a private showing for this property: MLS# 5879917 – $479,000 – 7020 E Friess Drive, Scottsdale, AZ 85254.